What an AWESOME week! 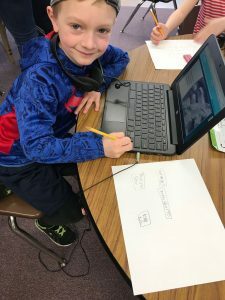 😍 This week was Community Tech Night in East Bridgewater. We had a great team volunteer their time to share our amazing tech use with the community. 💻 It was also the Digital Learning Day conference in Medfield this week as well. Five of our FABULOUS East Bridgewater Staff shared their knowledge with others from around the state! It was simply a great week in Ed. Tech. in EB. Hence, the focus of my post is our AMAZING, Fabulous, Awesome staff! So, read below to see some AMAZING things your colleagues are doing! It may give you a few new ideas. 🙂 Certainly reach out to them! I know from working with them personally, that they are always willing to help. Community Tech Night in East Bridgewater was held on Tuesday evening. Although it wasn’t as well attended as we had hoped, it was very well received by those in attendance. 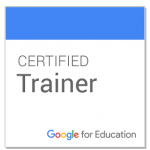 Bethany Barra, Nick Davis, Maureen Holbrook, Laura McPhee, Ginny McCarthy and Bill Silva shared their knowledge on various topics such as Hyperdocs, Google Classroom, Google Keep, Padlet, Readworks, Epic, SeeSaw, ReCap, YouTube, and more! The parents and school committee members in attendance were very impressed, as was I, with everything shared! THANK YOU so much to these fabulous teachers, and every staff member every day, willing to share their expertise! Check out the general resources below from the evening and reach out to the staff members listed if you want to know more about what they presented! 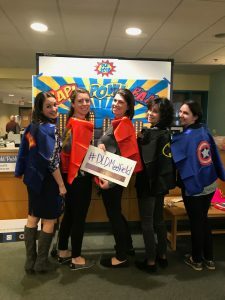 Tori Cameron, Jamie Hulke, Laura McPhee, Julia Sheehan and Erin Fisher presented at Medfield Digital Learning day this week. This is a great conference attended by over 100 schools, including schools from New Hampshire and Rhode Island! Tori Cameron was inspired by 103.3 Amp Radio’s TJ show to start her own Podcast. He even MENTIONED HER on his radio show this week, and played some of her latest podcast episodes! Tori presented at Medfield about Podcasting and hosting her own Podcast: Steam Up the Classroom. Check out her presentation here, it has some really great resources including great educational podcasts for kids! Jamie Hulke and Julia Sheehan use so many great tech tools to engage their students in a truly blended learning environment. 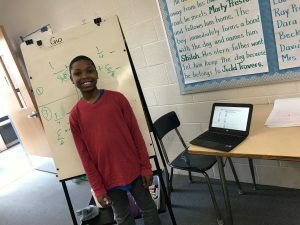 These two presented on Digital Discussion and showed all of their great tips and tricks when using tools such as FlipGrid, Instagram, Twitter Chats, Google Classroom, and even using Google Sheets as a Discussion Board – SO COOL! Check out their fabulous presentation here! Laura McPhee presented Holy Organization Batman! In this amazing presentation, she highlights Google Keep, an incredible tool for student engagement, organization, and productivity. The Google App is quickly blowing up and Laura’s presentation shows Keep’s full potential! Consider using this tool today and access Laura’s presentation here. Consider sharing your knowledge with other teachers around the state! Our staff in East Bridgewater has so much to offer. MASSCUE is currently accepting proposals for their annual fall conference. You can gather more information about this event by clicking here. Will you put in a proposal? Let me know, as a former presenter for the past 4 years I can assist you in forming your idea so it is accepted as a workshop. In addition to Tech Night and DLD, I also had the opportunity to assist in the most wonderful lessons this week with some fantastic teachers! 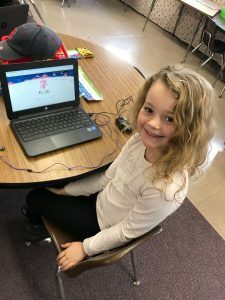 Kim Hardiman, a first-grade teacher, had me come in this week to assist with a spectacular blended learning experience. Students researched a topic using a book bundle on Epic. Students took notes (on paper) from their research and created a Telling Brain Frame. 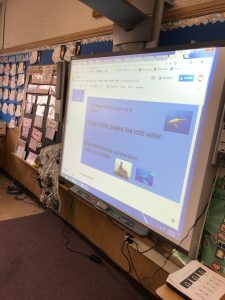 From their notes, students then created a Google Slide on their topics to show their knowledge. THIS WAS ALL DONE IN FIRST GRADE – AMAZING! It is always a pleasure going into Christine DiLorenzo’s room, a second-grade teacher. 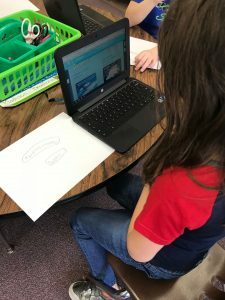 This week, she wanted her students exploring a tool that will allow them to create animated presentations. We chose to look at Animaker. What a great way to demonstrate knowledge! Stacy Linnehan, Language-based special education teacher at the middle school, is always looking for new tools to try! It is always a pleasure to go into her room and give her something new! Check out her students below, using Chromebooks to view the problems she provided and standing at the whiteboards to do their work. 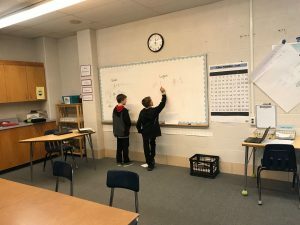 All of her students are working at their own pace, allowing her to walk around the room and check in with each student to give that personal connection. Laura McPhee had me come in and we worked together with her students to make E-Books using Book Creator. This is a great site/app to create E-Books. You can include video, text, images, audio and more in a really cool format. The book even turns a page! Her students are creating books to show examples of physical and chemical changes. 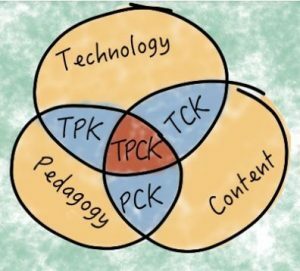 Technolgy, when combined with content and pedagogy (TPACK model), can make learning more accessible and more engaging for our students. Many of the ideas above demonstrate this model! Consider integrating the T with your content and pedagogy to reach our learners in this digital learning age!